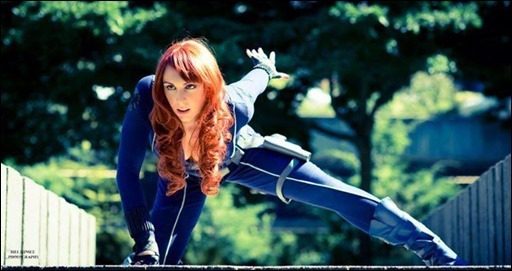 Originally starting out in the modeling world, Jerikandra Cosplay began cosplaying just a short time ago after meeting fellow cosplayer Abi Sue Cosplay. 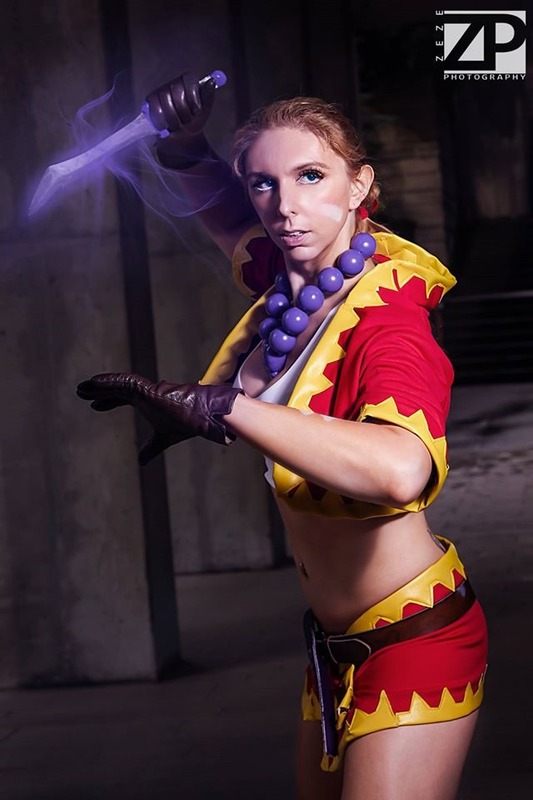 In that short time, she has cosplayed a variety of characters ranging from videos games & comics to animation as well. The multi-talented Jerikandra isn’t just a model or cosplayer either, she’s also an accomplished software developer having written several fun iOS apps in her spare time! We were lucky enough to interview Jerikandra Cosplay to find out a little more about what she likes. You began as a model and then started cosplaying. Why did you decide to start? It’s kind of funny really. In 2013, I was doing a lot of local modeling including runway shows, when I happened upon a Costumer, Abi Sue Cosplay, who was looking for models to wear costumes, she herself made, in a runway show. 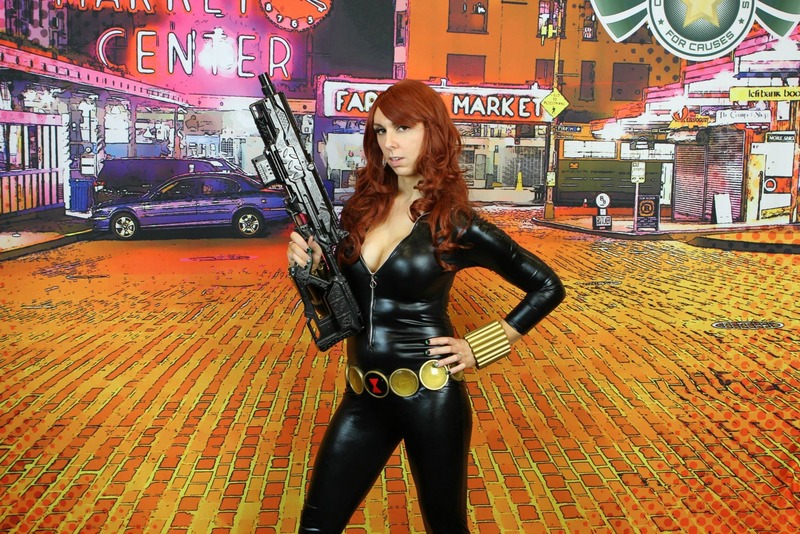 After the show, I was inspired and practically begged Abi to make me a Black Widow from the movies (I had loved BW in the Avengers). She made me an amazing Iron Man 2 version of the costume and I started following her to events and conventions. My first convention was PAX Prime in August 2013. Well after attending my first convention, I was blown away. Everyone loved the costume and wanted my picture and it was overall a really great experience. That’s when I was like wow, I want to keep doing this! It was like modeling in that I was modeling the costume but I was also learning to get ‘in character’. 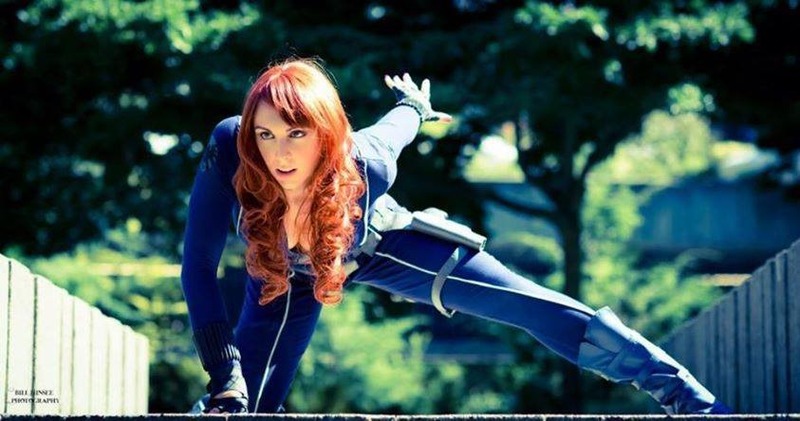 Did you find cosplaying to be a much different experience than modeling? How so? Yes different in a lot of ways. Modeling has a lot of requirements and they are pretty strict when it comes to sizing and features. You do a lot of casting for shows and shoots and there can be a lot of rejection (especially if you do not fit their expected norm). Cosplay obviously, is much different. You’re almost embraced by everyone at a convention because they recognize and love the character you are portraying. While some haters will still criticize you if you don’t fit a certain body type, there is a much larger audience who loves what you do. I experienced a lot of rejection for not fitting into ‘modeling standards’ and yet with Cosplay I have not experienced this at all. As a kid, my mom wouldn’t even let us get a Nintendo so I craved video games like crazy. Over at friends houses, I’d play Mario whenever I could but I never could get enough and I never really got very skilled. As I grew up, I had more freedom and the online world took hold. I was able to play and love Chrono Trigger for SNES as well as Final Fantasy IV (2 in the US). Although I never was able to beat the boss of FFIV which discouraged me not to play much of the rest of the FF series. Then Chrono Cross came out when I was in college and I played the heck out of that. I also played a bit of Starcraft and Diablo II and even Counterstrike. While playing Chrono Cross, I had a few friends that were playing this new game called Everquest. I tried to avoid it because I knew I would get sucked in but after a year of watching them play (and poking fun at them for doing so), I joined in. Over the next 5 years, I practically lived to play Everquest. I’m amazed I was able to graduate from college. After that, I tried World of Warcraft as well and other MMOS such as Guild Wars and Everquest 2 but none of them really stuck with me like Everquest did. Nowadays I rarely have time for video games due to cosplay and app development. 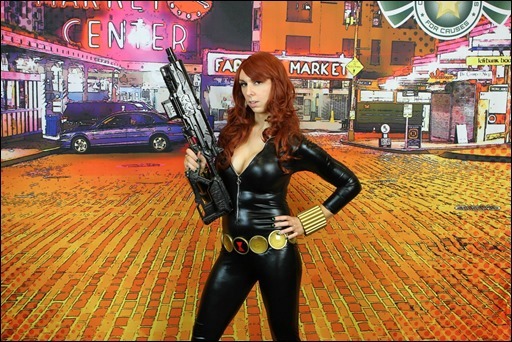 I confess I didn’t get into reading comics until after I started cosplaying. Since then, I’ve gotten into Black Widow, Supergirl, Aphrodite IX, and X-Men. I use them as research materials for costumes but I also easily get sucked into them. My only frustration with them is that there seems to be an endless history of them and I don’t feel like I’ll ever catch up! Yeah I was (and still am) a mix of geek and nerd. Into superheroes, Star Trek, Sci-fi and fantasy books, etc. I also had my own computer in high school on which I taught myself C++ and built my own computers later in college. Also, with a Bachelors of Science in Computer Science and a career path of Software Development, I definitely can claim geek cred. ;) Nowadays, I also write iPhone apps for both work and fun. It’s a mix. Some think it’s amazing! Some want to get involved! Others don’t say much or just plain don’t get it. I suppose it’s self gratification. Much like with software development, you are creating something and then showing it off. There is no greater feeling than spending constructive time on something and then being able to get a ‘pat on the back’ per se. That and it’s just plain fun! 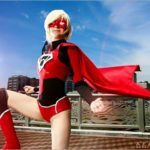 Do you attend a lot of Cons? I seem to be attending about 8 cons a year, mostly in our greater Seattle/Portland area. I definitely prefer to attend cons with friends and we’ve been trying to commit to no more than one con a year outside of our area and for the last 2 years (including this year) that con has been Big Wow Comicfest in San Jose. Most of my bad experiences are hateful comments online. The usual stuff about looking fat or looking masculine. 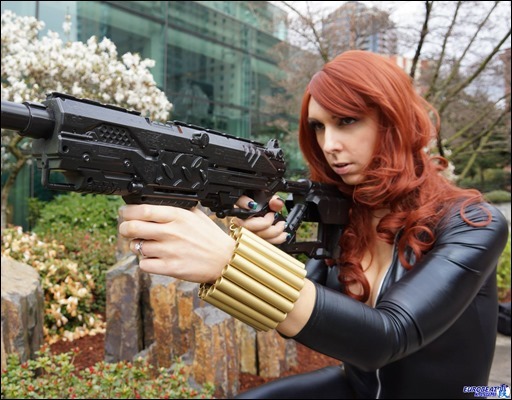 The only real bad experience I’ve had at a con itself was at Emerald City Comicon last year where a random guy asked me if I was a man. I was completely shocked and it really hurt. I was obviously cosplaying Supergirl so it was just silly. 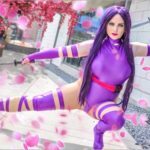 How do you find the time to create your costumes, model, and do all the other things you enjoy? Well I have to admit, as I’ve gotten more into Cosplay, I’ve let Modeling go. But with spending time with my fiance, writing my own iOS apps, and any other fun stuff we do, it is hard to make time sometimes. I’m trying to portion it out such that during con season, I’m working on my costumes and when it’s ‘off season’, I work on apps. Even then, I find myself getting sucked into app development when one of my apps needs an update, etc. It definitely takes a balance to make it all work. Yes! I always start off saying Abi Sue Cosplay because she’s the one who got me into cosplay and I’ve commissioned her to make a few of my costumes (and even parts of them) and she’s been teaching me how to make my own costumes. 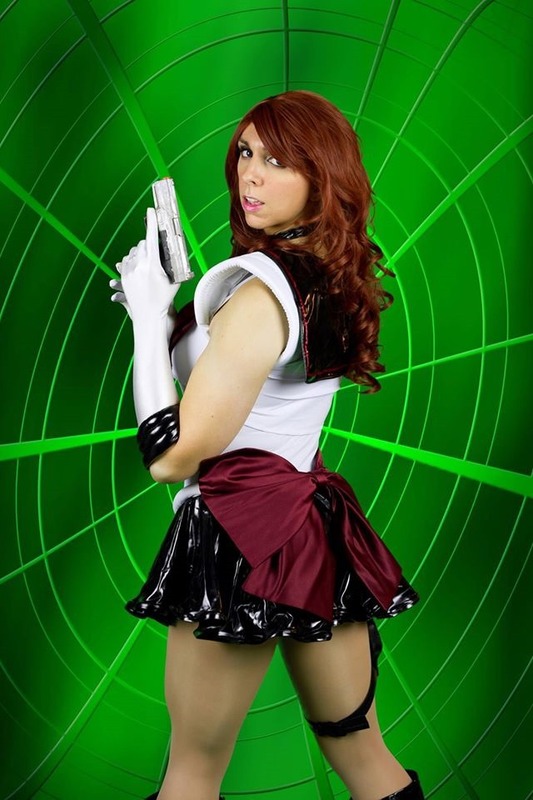 Other than her, there’s Kit Cosplay, co-founder of Comic Book Characters for Causes, Vorel Darastrix, Ani-Mia, Kit Quinn, and the Geeky Gamer Girl. Mind you there’s a ton more but I can’t list them all, haha. I probably would have learned to sew much sooner. Even with other things like props and armor that don’t necessarily require sewing, I feel like a lot of ‘wearable’ things tend to need sewing. Otherwise, I’m pretty happy with the path I’ve taken. You know, I’m not sure. 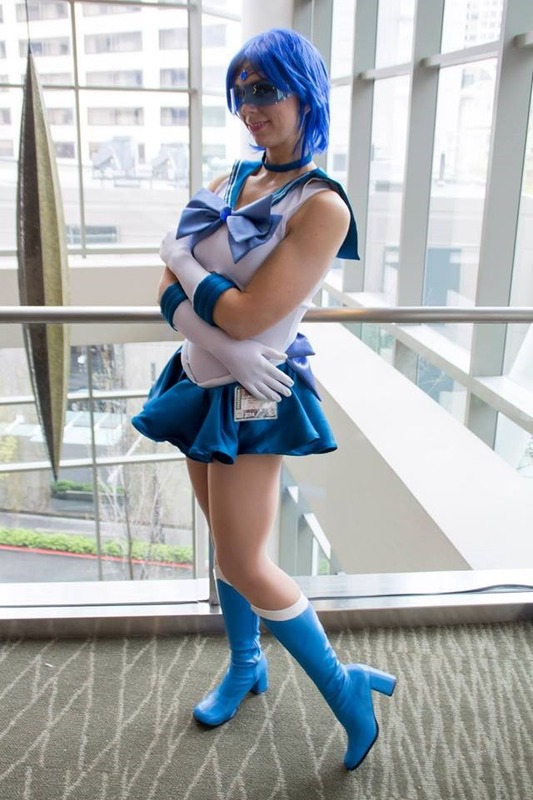 I love cosplaying and I can see doing it for many more years. That being said, I’ve seen a lot of cosplayers jump right into panels and booths and costume contest judging and I have to say, I’m not that interested in such things. Cosplay is my fun time and if I start turning it into more ‘work’ and ‘stress’, it might not be quite as fun. 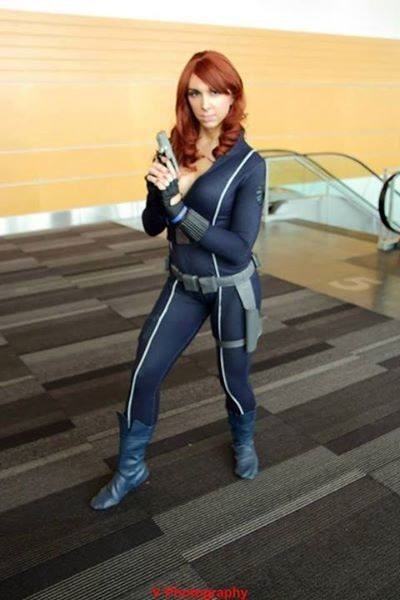 While that’s true today, there was also a time when I thought ‘why would you cosplay more than one character?’, thinking I would just cosplay Black Widow only. Yet here I am with a ton of additional characters now. So you never know, things tend to change as you grow. Thank you Jerikandra! We wish you the best in your cosplaying, modeling, programming, and everything else you do in the future. 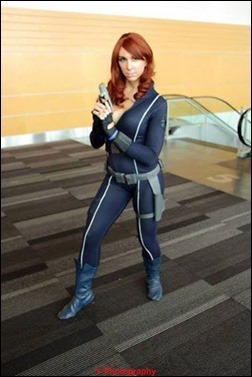 If you’re looking to hire Jerikandra for modeling or convention appearances, you can contact her here.